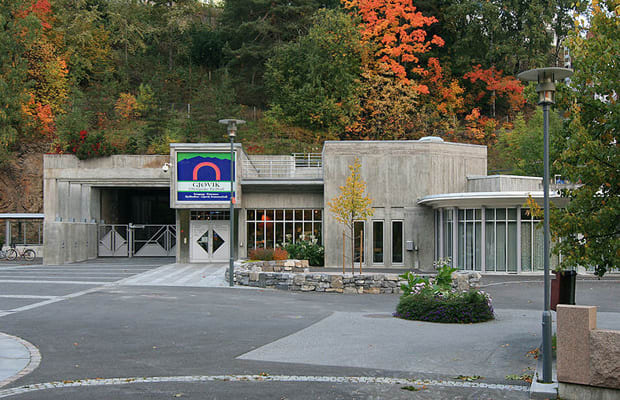 When Norway was awarded the 1994 Olympic games, more rinks were a necessity. Since half of the country is covered in mountains and rocks, the Norwegians chose to embrace their heritage and build the newest rink into Hovdetoppen mountain making the world’s largest cavern open to the public. Instead of dwarfing the landscape, the architects designed all nine stories of building underground. Only in Norway must you go completely subterranean to watch a local professional hockey game.